Home Product Maximum Tire Size 31"
The Rubicon Express Super-Flex System is the best suspension for Grand Cherokee’s running factory short arm suspension geometry. 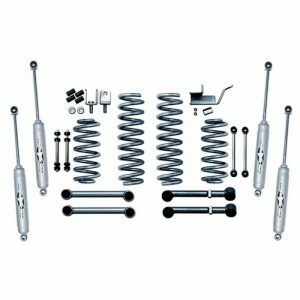 Upgrading your Jeep with a Super-Flex suspension system will turn your Jeep into a remarkable performing 4×4 machine with a smoother and more flexible ride on and off the trail. 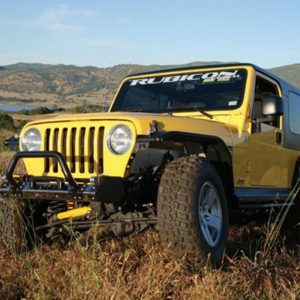 The Rubicon Express Super-Flex lift replaces your stock suspension with our high-qualiyu, trail-ready componenets. 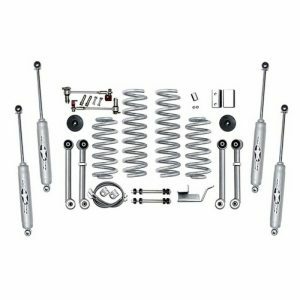 It features an adjustable front track bar, lower and upper adjustable rear control arms with our Super-Flex spherical ball joints, replacement lift springs, and Gen II sway bar disconnects. 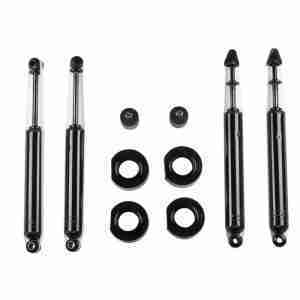 This is the best ZJ lift available that retains the factory short arm suspension design and utilizes the factory suspension mounting points. 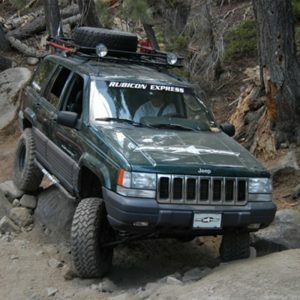 The Rubicon Express Super-Ride suspension system provides 3.5″ of lift for your Grand Cherokee at an economical price. 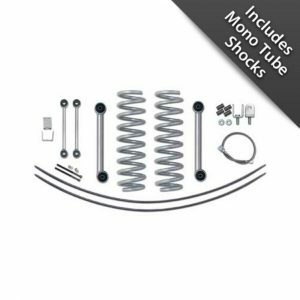 This suspension system is ideal for a vehicle owner with a smalled budget who is just getting started. 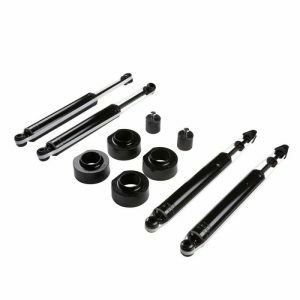 The 3.5″ Super-Ride is the standard short arm suspension system featuring our exclusive Super-Ride lower control arms, 3.5″ lift coil springs, rear trackbar relocation bracket and extended sway bar links. The stock upper control arms, track bars, and other components are retained. 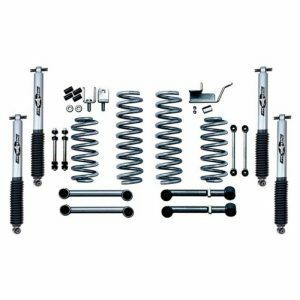 The Super-Ride suspension system will perform smoothly on and off the trail and is easily upgradeable to the Super-Flex system in the future. 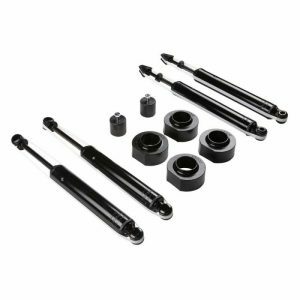 The 2″ Economy System is the perfect setup for those looking to gain an easy 2 inches of lift at a rock bottom price. Adding just 2 inches of lift will provide more clearance for larger tires and increase the flexibility of your Jeep’s suspension. 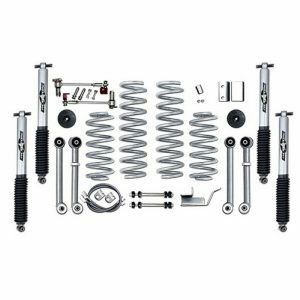 This economy minded suspension system will maintain the renowned Jeep ride quality. 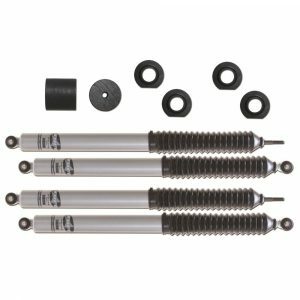 The Economy Kit is extremely simple to install; Just fit the coil spring spacers in place and install the Rubicon Express precision-valved shocks at each corner. Now your vehicle is ready to hit the trails!